Entering the Valley Trail at (G16) from Kincardine Ave. west of Fraser Dr. you will find remnants of an old brick yard to the right. Winding your way down the trail keep an eye to the left for a large pond and the beaver dam at the far end. 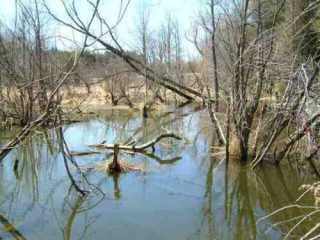 North from the beaver dam and following the river you will enter a wooded area and then begin a short climb up a moderate slope. Just ahead there is a foot bridge crossing a rocky ravine. Continue along the heavily forested trail with the river on your left. 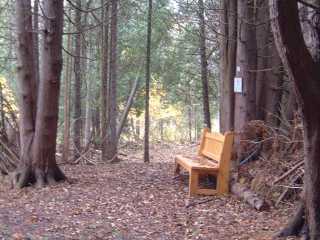 The incline to the right at (G18) will take you to the top of the ridge, Fraser Dr., and more trails. Fraser drive is also an excellent entrance to the Valley Trail. 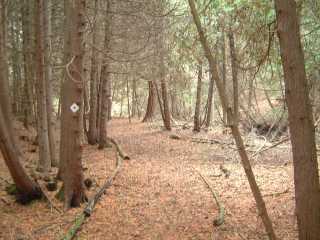 As you approach (G12) at the bottom of the ravine there is a steep trail leading up to Fraser Dr. 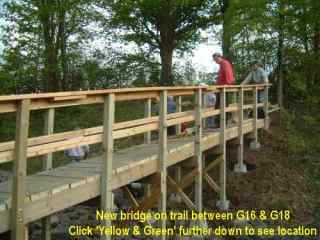 Continuing on to (G5) the bridge to the left was constructed by the Canada World Youth Exchange program. The bridge crosses a small stream. Then the path follows a steep hill to more trails in the Lynden Estates area. Parking is available at the north end of Park St. for those that want to enter the trail from this area (G01). 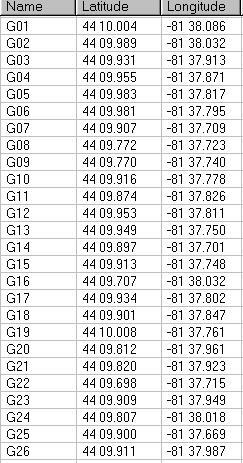 Continuing on eastward the trail to the right at (G13) will lead toward the top of the ridge and Fraser Dr., but a more gentle slope will be found further on at (G14). The trails now becomes a little more rugged, with a few steep sections, eventually ending at Murray Blvd. (G09).